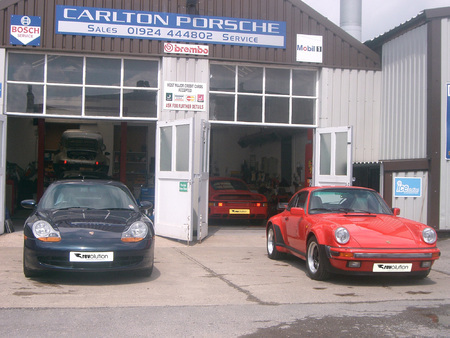 One of the longest established marque specialists in the Leeds area, Carlton Porsche has offered great value for money servicing, restorations, bodyshop and motorsport preparation services since 1972 at its workshop close to Junction 27 of the M62. Its owner Mick Goy has reluctantly decided to retire after 44 years of working on Stuttgart’s finest, but is pleased to be handing over the keys to a team who share his passion for Porsche. Mick explained: “I wanted to make sure that Carlton Porsche was in safe hands once I hung up my tools, so I’ve had to wait for the right people to come along to pass the business on to. People have noticed I’ve been winding things down over the last few years, but now I have the guys from Revolution involved I know they will inject a new lease of life into the place and bring it back to how it was in its glory years. Revolution Porsche Director Russ Stanley also believes the two businesses are an ideal match. “We’ve been looking to expand for some time, as our growing reputation has resulted in a rapidly increasing workload and we’ve been operating at full capacity at our Brighouse workshop. Taking over an existing reputable specialist in the Leeds area was our preferred route for finding a second workshop and we are excited to be buying Carlton Porsche,” he said. 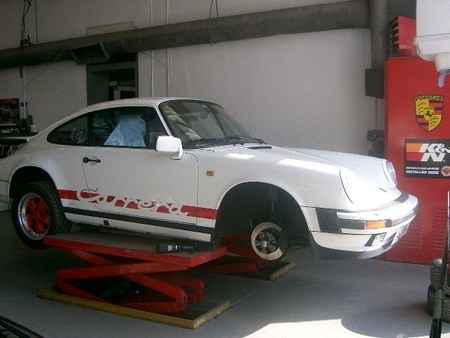 If your Porsche is already booked into either our Brighouse workshop or Carlton Porsche, just bring the car along as scheduled and you’ll find it’s business as usual. But if you do have any questions about the new set-up, please get in touch.